Our Handmade Chilean Araucania Merino is the best quality wool to felt with because it felts fast due the fibres being fine, and the wool being high quality due to high animal welfare standards. Our roving is available in many colours however this listing is for a pack of 12 multicoloured balls. Merino is good to use when learning how to spin as it has an ideal staple length (length of fibres) of 4 – 5 inches. Merino fibres are very soft meaning the items you make feel nice next to the skin. 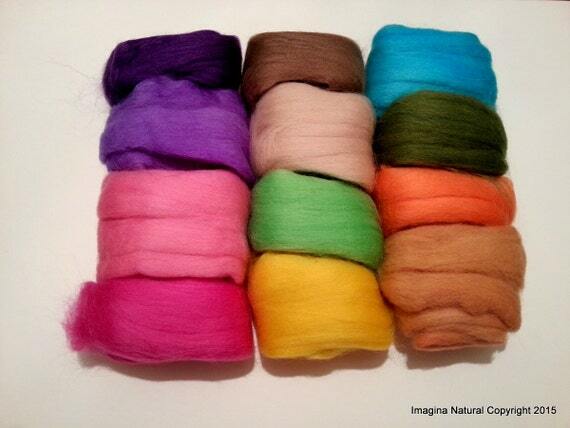 Imagina Natural guarantees that our merino is ethically sourced from non mulesed flocks. The wool fibres are non-toxic and baby safe. - Absolutely magnificent wool, simply beautifully soft and smooth. 100% Pure Merino Roving wool from local farmers in the Maule Region of Chile. Made in a natural and sustainable way using age old techniques. A high quality fibre that offer great flexibility and strength allowing you to create excellent finished products. We use 100% pure wool from local farmers in the Maule Region of Chile. The sheep are non intensively farmed, naturally organically raised living wholesome lives. Made in a natural and sustainable way using age old techniques. A high quality fibre that offers great flexibility and strength allowing you to create excellent finished products. The pack contains 12 multicolour balls. Each ball contains at least 12 inches (30cm). Total pack weight is around 90-100g. Each ball weighs around 8g. 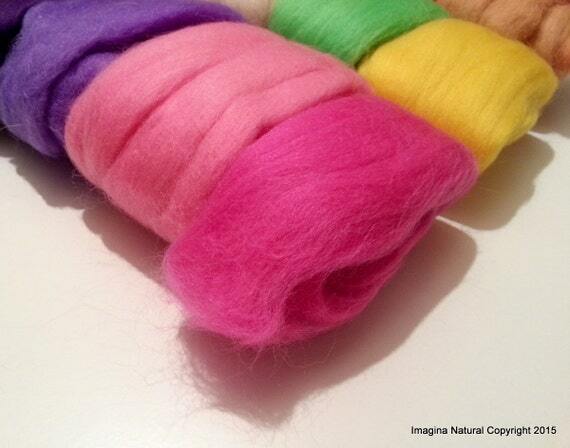 This is enough to add colour to a project, or great for making models or angels and great fun to play with but for larger spinning or felting projects we recommend buying our normal size packs. This is roving and in Short lengths of 12" Inches (30cm) . Whilst longer sections of this type of roving may be suitable for some extreme craft knitting using special equipment these sections are too short to knit with. 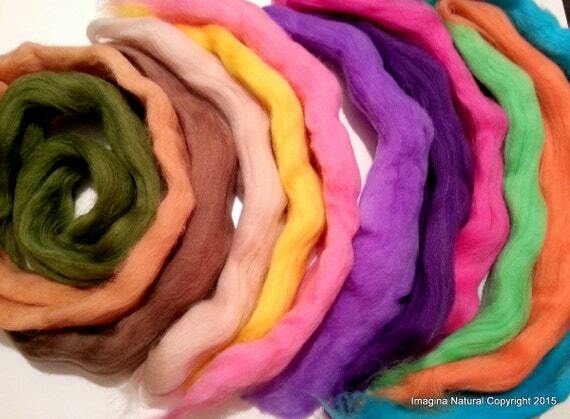 You could try spin then weave the roving to produce your own yarn. We ship worldwide wherever you are. Shipping from Chile can take up to 30 days. We randomly select the colours in the bags. 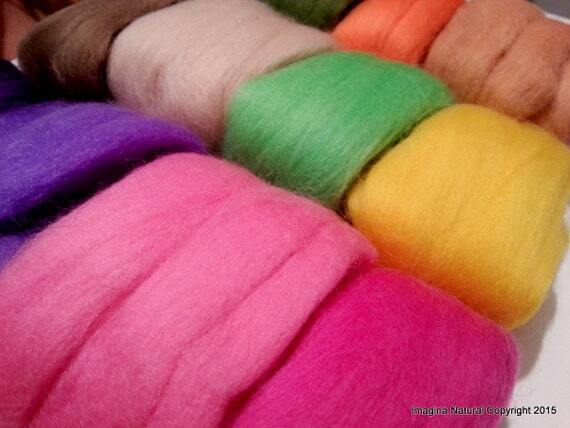 If you would like a specific colour selection please message us or view our other single colour roving listings.